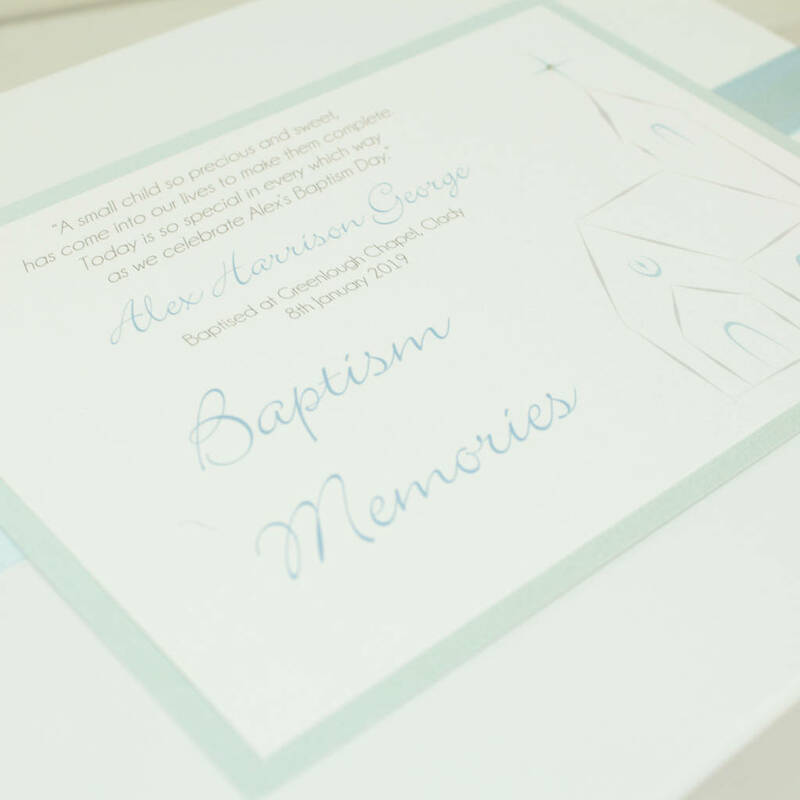 Handmade Baptism memory box personalised with your childs name, Baptism location and date to keep your treasures safe for years to come. 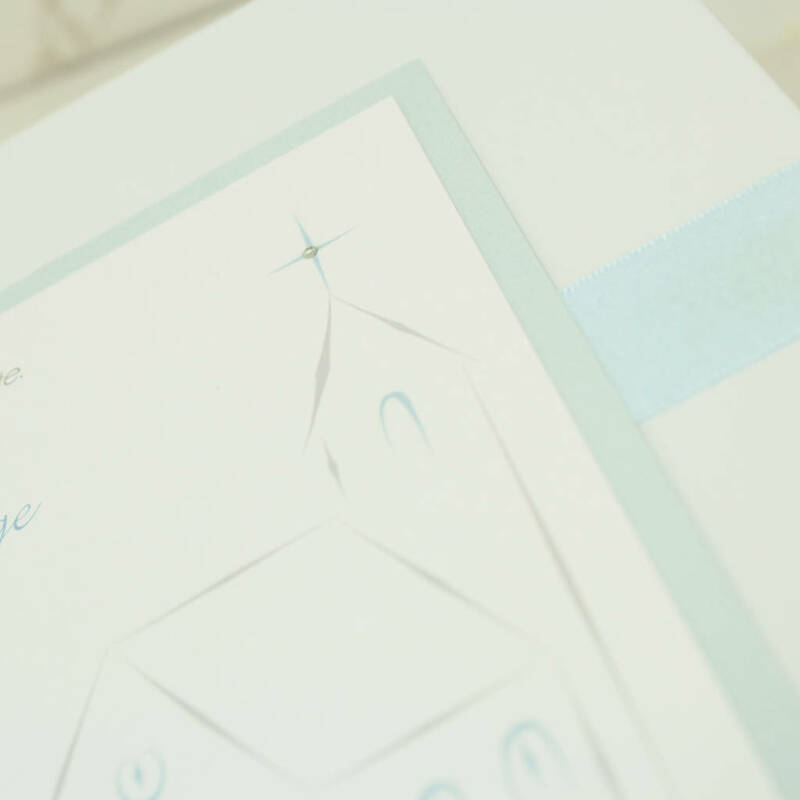 A perfect gift to celebrate the Baptism of a new family member for a friend or relative, or a treat for yourself to keep all those special memories together in one place. This makes a perfect gift if you are looking for something different that's not just 'off the shelf' and that you or the recipient will be able to treasure. The boxes are carefully assembled, personalised and hand finished in our own design studio so if you have any requests please do not hesitate to ask! This box is made in either baby pink for a little girl or baby blue for a little boy. 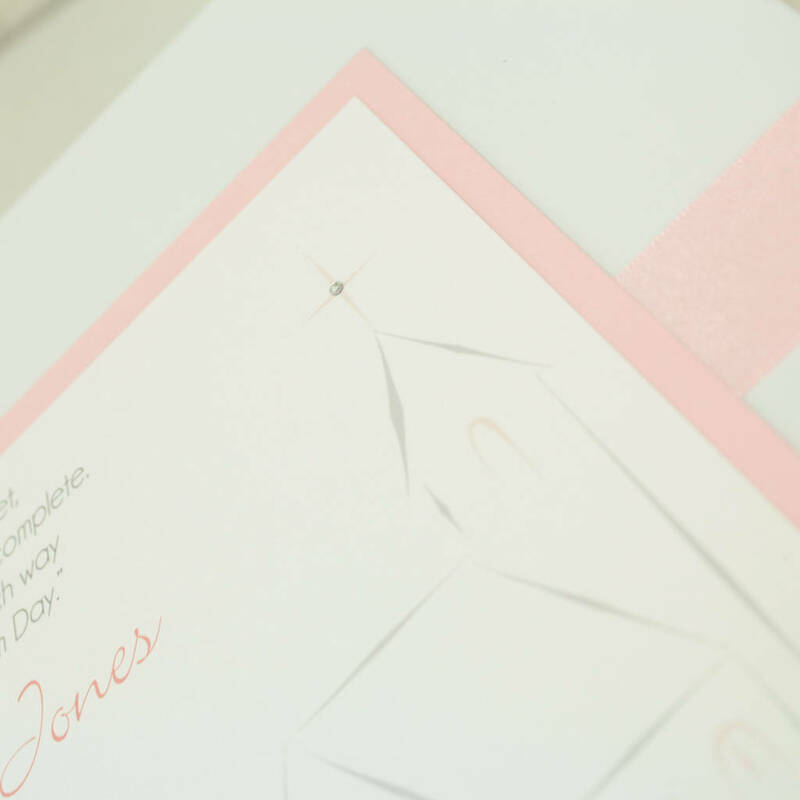 The babies details are printed onto a subtle sparkling pearlescent ivory card which is mounted onto a coloured backing card. The lid is finished with a satin ribbon running across the centre and a sparkling diamante crystal added by hand. 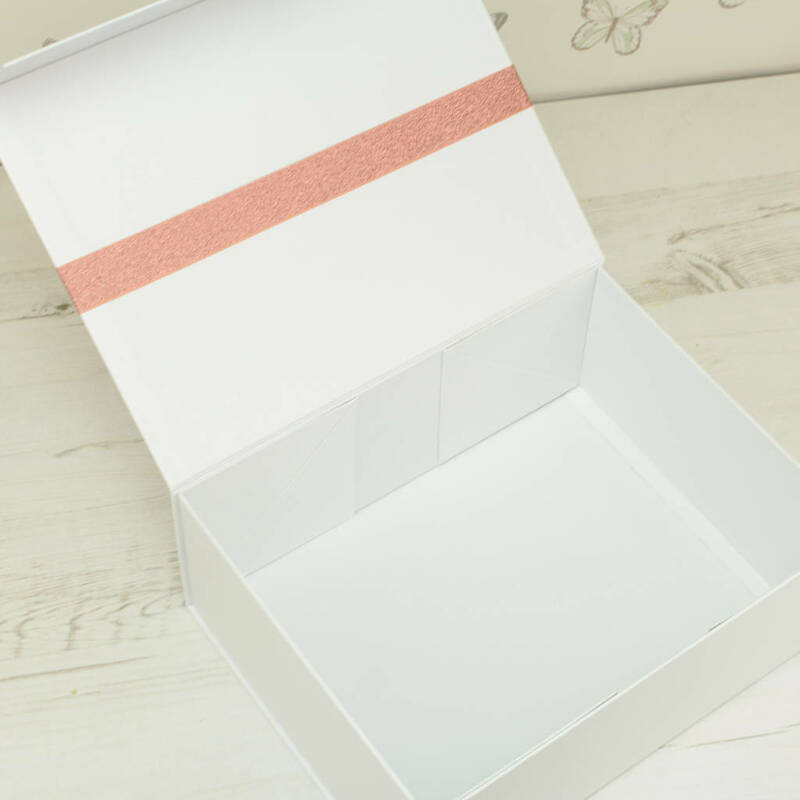 The memory box is of a sturdy design, constructed from a heavyweight white board with a smooth finish inside and out. The lid is held shut with concealed magnets and has a ribbon tab for ease of opening. Why not compliment your memory box with a matching photo album that will fit neatly inside at a discounted rate of 25% off. The albums have a smooth white finish with 20 pages of premium handmade paper, each seperated with an acid free interleaf allowing 40 photos up to 7x5" to be inserted using double sided tape or photo corners (not included).